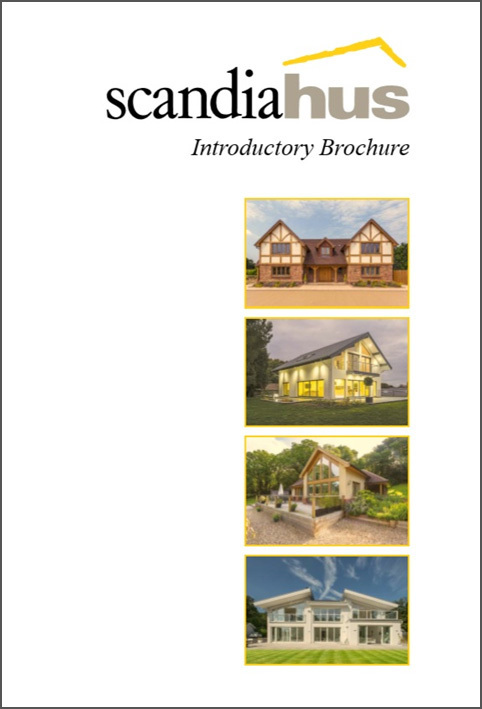 If you’re considering a package home for your self build, it may be useful for you to visit our show homes in Sussex. Starkly different in style, but both of equal quality, you’ll be able to see first hand the high specification finishes available in a Scandia-Hus timber frame home. 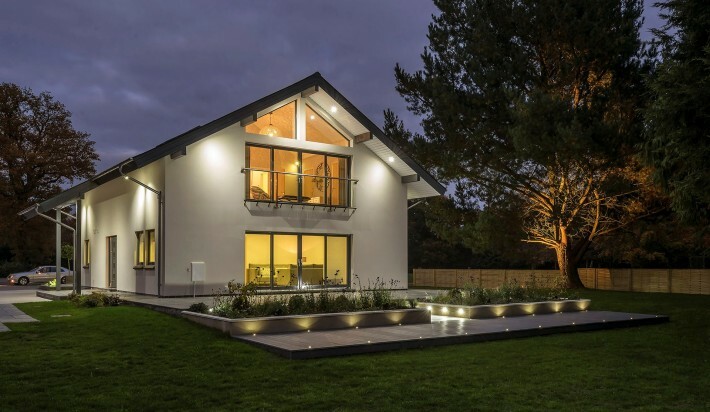 This contemporary style build is a stunning example of what Scandia-Hus can do. The interiors are sleek and technology has been cleverly used throughout to create a comfortable, modern family home. The show house is located next to our offices on our business park just outside of East Grinstead, West Sussex. Viewing is by appointment only. Please call 01342 838060 or email sales@scandia-hus.co.uk to arrange. For updates regarding open days, follow us on Facebook and Twitter, or visit our events page. 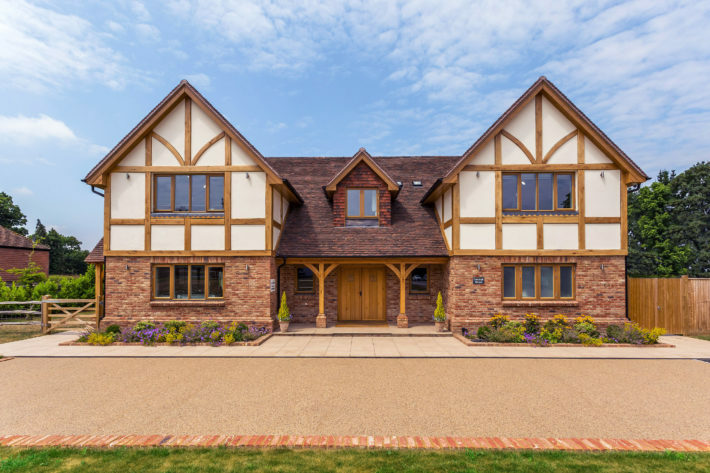 This stunning traditional Tudor style home is beautifully presented with spacious accommodation over three floors, including a basement. The inglenook fireplace is a real feature, not to be missed! Viewing is by appointment only. Please call 01342 838060 or email sales@scandia-hus.co.uk to arrange. The show house is located on our business park just outside of East Grinstead, West Sussex. For updates regarding open days, follow us on Facebook and Twitter, or visit our events page. Scandia-Hus will be setting up a dedicated show centre in the South West of England in the coming future. As soon as a suitable site is identified, we will be constructing a permanent timber frame show home for our current and future customers to enjoy viewing. Look out for updates on our social media pages.